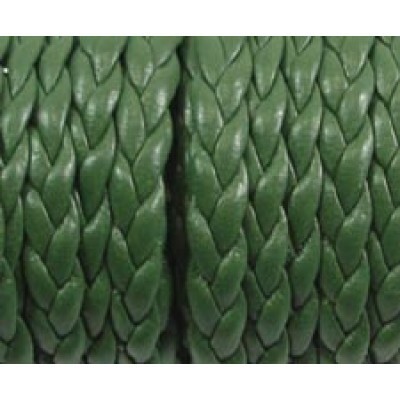 Flat Braided Faux Leather Hunter Green all the look of leather without any animal involvement! Great for little braided charm bracelets and anklets. Measures approx. 5 x 2 mm. Sold in 30cm increments (approx 1 ft), max continuous length 2.7m.